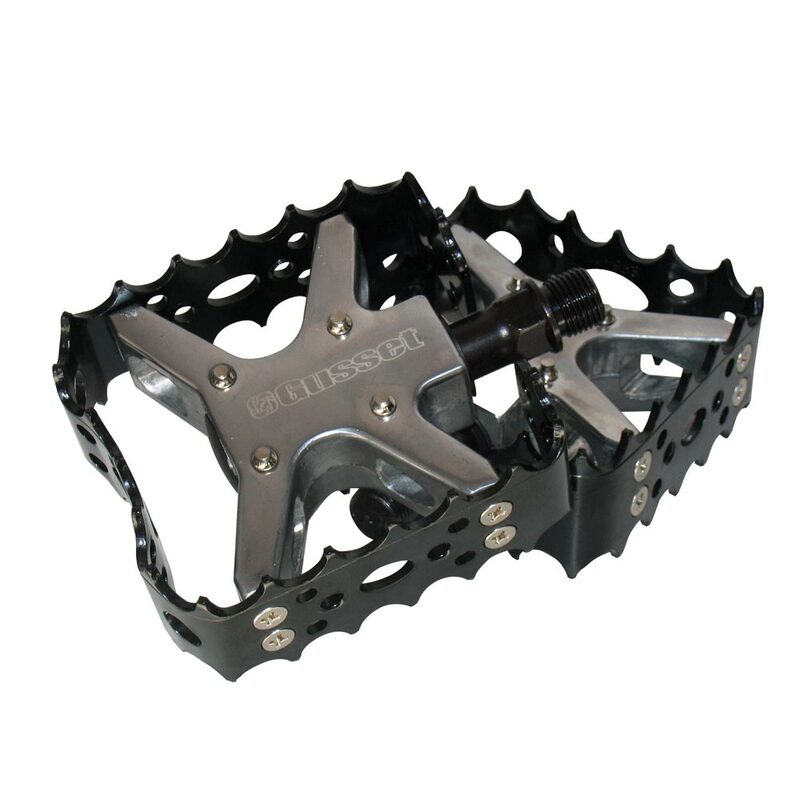 ‘Trials’ popular Semi-Platform spiked Cage pedals. Cast X-body and bearing housing with 8 bolt secured Alloy cage. Strong, cast alloy main body. Secure 8 screw alloy cage mounting. Foot biting cage tooth profile. Polished Alloy body with Standard bearing.